Usually, design trends have a very short span of life. Each year some new trends arise while some fade away. A website design that looks amazing few years back might sound outdated to someone who is visiting it today. If you don’t keep up with the latest trends, it will be hard for you to survive in the competition. Fortunately, there’s WordPress platform that helps you keep abreast of the changes in the graphic design. WordPress is one of the most popular CMS platforms with around 75 million users worldwide. Its popularity lies in the fact that it offers many amazing features like customization and flexibility. WP aptness to design the look and feel of the site in many different ways allows users to build several types of blogs and websites. But unfortunately, there are still many business owners who don’t give much attention to their websites. They actually don’t understand the importance of a site in the marketing and branding. They believe that by just creating a simple website, they will get an online presence. But it’s not like that. It’s essential to have a well-designed and user-friendly website for online presence in today’s digital world. If you’re not getting anything out of it, it’s of no use. Design of your site plays a pivotal role in building the reputation. Apart from your product and services, the design elements such as your logo, web page design, and navigation influence the audience buying decision. 1) Improve your typography: Fonts used in the web design plays an integral part in giving an amazing look and feel to your website. Typography requires the same level of attention that you pay to the other elements of your site such as images, content, and logo design. First, there was Arial, then Helvetica, and now more new fonts have been introduced disposing of the old fonts. Most of the business owners stick to what they are familiar with. They don’t want to experiment or come out from their comfort zone. This makes their website looks dull and old. When you install WordPress, you get a nice typography features. But if you want to have more advanced features such as hyphens, replacement of text with images, etc. 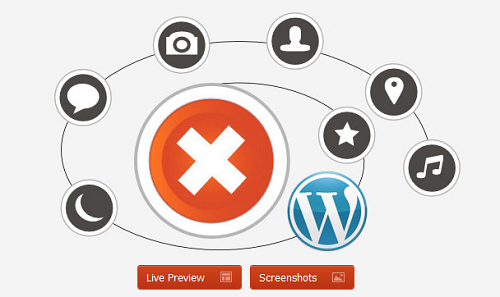 then WordPress plug-ins come into the picture. There is a vast range of WordPress plug-ins you can choose from such as Google Typography, Google Font Manager, WP Super Edit, Typekit Fonts for WP, etc. Try to choose those fonts that are contemporary and show a timeless appeal. After all, changing fonts frequently can hurt your branding. 2) Keep call-to-actions relevant: The call-to-action (CTA) is the last step of any web page. It might not look important as compared to the other part of the content, but it’s the final chance to make the customer take the desired action. “Shop Now,” “Download”, and “Sign Up” buttons are some of the examples of call-to-action. For instance, there might be a time when your primary goal is to collect customers’ information like name, email address, location, etc. But now that you are an established company is it still your primary focus? We guess no. Now your focus might be to increase more followers on social media to organize an event or to introduce any product or service. Whatever your priority may be, call-to-action must be changed accordingly. Remember to make it look attractive as it will help in catching the attention of the audience thus increasing the conversions. WordPress call-to-action act independently with WordPress Leads and WordPress Landing page that allows businesses in tracking the conversions, testing, and increasing the leads. 3) Use custom login: The login page is the main door to access the website from the backend. By using custom login, users can log in from the custom page instead of the default login page. If you are running a website without a membership plug-in, then you’ll be allowed to login from the default page. This works fine for small sites. But if you are running a business website, you may want to have a login page with your brand name or logo instead of WordPress. However, if you don’t want users to access the admin area, you can create a custom login page. It works like any other page of the WordPress site. It makes your audience feel that they are part of something exclusive. This can help you in getting engagements and hopefully conversions. 4) Maximize Photoshop actions: Images play an essential role in the success of a website. Creating great images especially if you want to give a retro touch to the image, for instance, might take a lot of time and efforts. Photoshop actions are a tool that allows you to add stunning effects to your images with just a few clicks. It is actually a shortcut for adding effects to your images. It’s like a logo maker tool with the help of which companies can create amazing professional quality logos for their website. You can download the Photoshop Actions tool online at free of cost. 5) Feature your social media buttons: In today’s digitally connected world apart from having an online presence (website) it’s essential to have a social media presence as well. People connect with the companies more through social media channels. Irrespective of the size and the nature of the business, companies are creating a robust social media presence today to reach out to a broader audience base. If your website doesn’t have social media buttons, it might look dated. Highlight the social media buttons to your WordPress site so that people can easily follow you on your social media pages. Make sure you keep updating your social media buttons as per the latest trends. There are vast ranges of WordPress plug-ins you can choose from such Social Warfare, Monarch, Easy Social share buttons, Social Pug, etc. 6) Use UI kits: There are lots of ways to modify your website and make it look like the way you want. In today’s market, there is no place to settle for the second option. When it comes to building an online presence, you should never compromise. You either find a perfect theme or have a tailor-made theme. If you want to renew your website right from scratch, we recommend UI kits. The UI kits can help you in improving your site’s performance and appearance. The top free UI kits provide you with a number of individual elements that can be integrated with your current design. Since these kits are free, you can use it without any worry. You can also purchase these kits online. Some of the top free UI kits are Paper Kit 2, Shards, Landing, Bootflat, Blog Magazine UI Kit, etc. 7) Use unique and attractive icons: Icons are the small symbols that are used to make the content visually appealing. They might look small, but it doesn’t mean it has no importance. No matter how important and exciting information you share, it’s of no use if you fail to catch the attention of the customers. Today, we have various free as well as open-source icon fonts present with plenty of icons. With each WordPress installation, you will get a set of free dashicons icon font to be used in WP admin toolbar. Some of the famous icon fonts are Font Awesome, IconMoon, Genericons, etc. Pick the icons that can match with your website design. 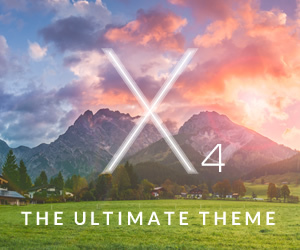 9) Update your theme: The design that worked five years back might not work today. It’s imperative to change the theme of your website with the latest designs and trends. For instance, around five years ago, you might have used margins on every page, keeping the main text is in the middle. You might have added embossed elements in your design too. But now it’s all about responsive design. If you don’t want to start from the scratch, you can make your own WordPress theme using Bootstrap. It’s a great starting point to build a responsive website. Another reason to update your WordPress theme is the security. An old site can easily get hacked. Updating the site with the latest themes can secure sensitive information. Before you make any change to your site, make sure you keep a backup of all the files of your WordPress database so that you can revert to your original design in case anything goes wrong. Change is always difficult, but if you restrict yourself to change according to the latest trends, you might not be able to survive in the industry.